One of the world’s leading neuroscientists, Dr. Bryan Kolb, will receive an honorary degree from UBC Okanagan on June 6. Among his many discoveries and achievements, Dr. Kolb was the first to show how the growth of new brain cells can restore psychological and behavioural function. He and his team have discovered that we have the power to grow new brain cells. His research has spurred new treatments to help victims of stroke, those living with Alzheimer’s Disease, or afflicted by drug abuse or head injuries. 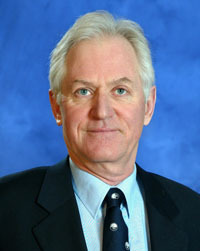 Dr. Kolb received his Ph.D. from Pennsylvania State University in 1973. He conducted post-doctoral work at the University of Western Ontario and the Montreal Neurological Institute. He moved to the University of Lethbridge in 1976, where he is currently a Professor of Psychology and Neuroscience. He developed one of the first courses in human neuropsychology in Canada, and co-authored the premier academic text in that field. Dr. Kolb is a Killam Fellow, and a Fellow of the Canadian Psychological Association, the American Psychological Association, the American Psychological Society, and the Royal Society of Canada. He is a recipient of the Hebb Prize from the Canadian Psychological Association, and is a former president of the Canadian Society for Brain, Behaviour, and Cognitive Science. The honorary degree of Doctor of Science will be conferred upon Dr. Kolb at the Spring Convocation ceremony for the Irving K. Barber School of Arts and Sciences at UBC Okanagan, at 9:30 a.m. on June 6. *This citation was originally released on April 14, 2008 and can be found on UBC’s Okanagan News website.